President Uhuru Kenyatta has directed all Cabinet Secretaries to prepare handover reports, signaling the naming if his new line-up in a few days. The directive is the initial procedure towards reconstitution of the Cabinet. Uhuru is expected to expand his new Cabinet to the constitutional maximum of 22 Cabinet Secretaries. The handover reports will facilitate the smooth transition in dockets where new CSs will be appointed. The directive came amid a meeting between Uhuru and the leadership of the National Assembly on whether MPs will alter their calendar to delay their recess so as to vet the new nominees. MPs are scheduled to go for recess from Friday until February 2, 2018. “We shall consult with the President whether the House can go on recess on Thursday as per the calendar,” Majority Leader Aden Duale told the Star yesterday. Parliament controls its own calendar but the rule of interdependence often triggers consultations between the two arms of government on cross-cutting businesses. A senior Jubilee MP told the Star that they could vote on a procedural motion to push the adjournment date to December 21, to allow the House to vet new Cabinet nominations before going on recess. The MPs have been asked not to participate in the vetting process. Minority Leader John Mbadi yesterday said they will not be party to the approval of a Cabinet constituted by an “illegal administration”. “We have made our position clear that we are not going to be used as a rubber stamp for an unconstitutional government,” he told the Star in a phone interview. Uhuru has promised to make his Cabinet inclusive to reflect Kenya’s diversity as he struggles to build a legacy in his last term in office. He faces an arduous task to heal deep-seated tribal tensions, resuscitate the economy and at the same time rewarding a host of politicians who campaigned for his reelection. Parliament will tomorrow constitute the committee on appointments that will vet the new Cabinet nominees. The panel will scrutinise and examining the aptness of the new nominees before deciding whether to reject or approve their nomination. Anxiety has gripped some CSs said to be on the chopping list amid intense behind-the-scenes lobbying for survival. 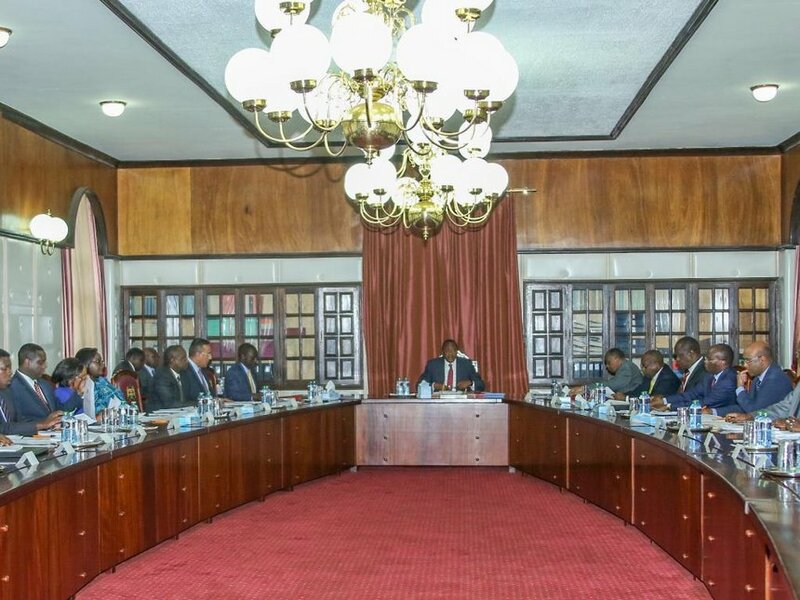 Uhuru’s order also came on the backdrop of a packed-week with flurry of meetings as CSs defend their 2018/2019 budgets before the Treasury. The review meetings with start today and run through to Friday. CSs have been told to overhaul their budget lines to focus on four priority areas considered important, particularly for Uhuru’s first 100 days of his second term. In a memo issue by Treasury CS Henry Rotich to all CSs, universal healthcare, manufacturing, affordable housing, Food and nutrition and security as the areas the President intends to focus on over the next five years.